Ok here are another short cut post with video again!! Today is the in front DST HQ under the overfly there always jam. This jalan here kalau ngam-ngam people balik rumah, DST staff habis kerja or JIS and UBD finish class... ah here sure jam one!!! So if I saw the jam already start under the flyover.. I tarus turn make a detour masuk UBD and out from other side. Yalah... is long but it save my time for the jam!! If you look at my video times laps here I only use 4:30 minute start from the jam and come out from the simpang! If not I'll jam here for more than 6 to 8 minutes some time even more!!! 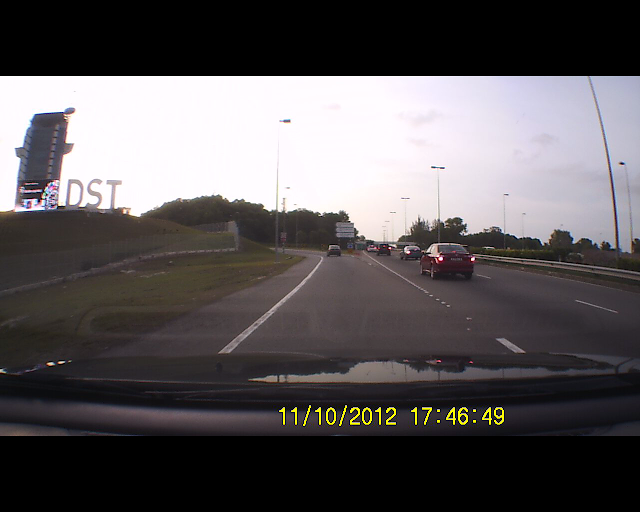 Bah.. see the video and learn how to do the detour lah.. very simple one just go straight saja!! !